Nowadays it is vital for every business, no matter big or small, every organization or charity to have a strong presence online. Due to this fact, web designers and developers are very sought after. When demands are so numerous and expectations are so high, it’s normal that all developers and designers need a helping hand. Therefore, we’ve done some searching and found the top 20 best tools that will make life easier for web developers everywhere. 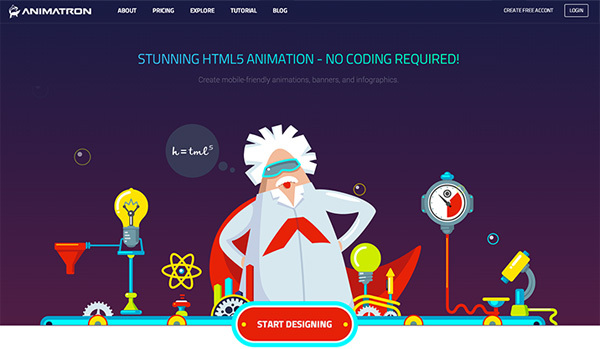 Creating mobile-friendly animations that will make your website more engaging is a breeze with Animatron. This web-based tool will help you create amazing animations in HTML5, SVG, GIF, and video formats that are sure to run seamlessly across all devices and operating systems. You’ve probably grown accustomed to having to use professional software that’s not only expensive, but also difficult to use. Animatron changes all this – it was designed and built so that both professionals and newbies will be able to use it with a minimum amount of effort, and it also comes with an affordable price tag (and a free plan!). When using Animatron, all your work will be saved in the cloud, which allows you to access it from any device that has an Internet connection. In addition to this, you will be able to collaborate with teammates easier than ever before: all you have to do to give them access to your work is copy/paste a link and you’re ready to go. On top of that, you can see all the changes they make in real time. As soon as you’re finished with your project, Animatron offers you the option to export it straight to HTML5 and deliver the code to either your back end team or straight to your client. If you were worried about opening your own job board website, you should know this is no longer an unachievable dream. Thanks to WPJobBoard, which is a WordPress plugin, knowing HTML, CSS, PHP or any other programming language is not crucial any longer for you to set up your website and get started with posting jobs at once. Whether you choose to use this WordPress plugin on one of your existing websites or create a new site from scratch, specially designed for job listings, you’ll have access to hundreds of themes, WP “frameworks” (WooFramework, Genesis, Headway or Thesis), and SEO features that will help you achieve search engine optimization through increasing page views and link popularity. WPJobBoard will also take care of automatically sending email job alerts and RSS feeds to keep your clients up to date. WPJobBoard has an intuitive interface which makes sure your job listings will always look organized and visually appealing for your customers. Original Mockups will help you with all your mockup creative needs, whether it’s a label, business card, flyer, mobile app or website, with Original Mockups you’re guaranteed they will look amazing. By employing the use of Original Mockups designers will be able to show off their work in a realistic mockup and therefore dramatically increase their perceived value. It is vital that you be able to show your clients exactly how the design you’re envisioning will look like and by using Original Mockups you will be able to do just that. Original Mockups currently offers an Infinity mockup bundle full of a stunning collection of 70 mockups including mockups of stationery and business cards, devices and UI displays and more. 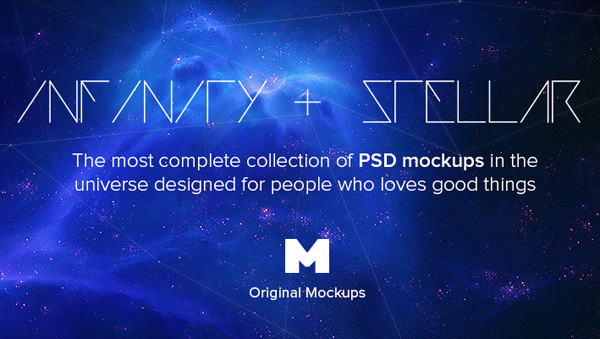 In addition to this, they have an expansion bundle called Stellar that comes with more than 50 amazing mockups. Each mockup is in PSD format and each PSD is 3000 x 2000 pixels at 300DPI and all you have to do in order to use it is copy/paste it into your design and hit save. Working as a freelancer requires a lot of discipline and the ability to get things done fast and efficiently. Hiveage helps all business owners deal with invoicing and bills in no time. This tool will help you remind your clients about upcoming bills and even thank customers who are punctual with their payments. You can be sure your invoices will look their best, since Hiveage allows you to customize them with your own color scheme and company logo. The user-friendly interface allows you to use the reporting tools anytime you need to and you can edit your tax, discount and shipping options in order to comply with the local regulations. Hiveage makes it easy for you to accept payments from different gateways, including PayPal Pro, Stripe and 2Checkout. Hiveage now handles billing for distance and it also records all your outgoing payments. Whether you choose to start with only one account or with 10 at a time, you can now manage all of them from one place. 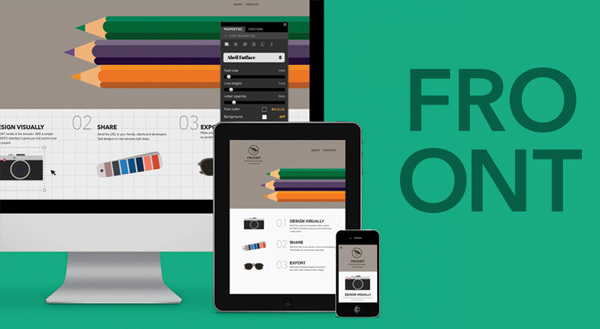 With the new platform from Froont you can now speed up your way to responsive web design and website prototyping. Froont allows you to use SVGs online, paste CSS from Photoshop and clone or fork projects to use existing layouts. Froont allows you to start your project from scratch or take your pick from other design’s work. Next, you can edit everything after your hearts desire: add your own content, change colors of headers and sign ups, choose what cover image you want to use, change the logo by simply double clicking it and change the size of your elements or delete other elements you don’t need. Froont makes over 2000 fonts (Typekit, Google and System fonts) available for you. The helpful library will remember your preferences and store your favorite tools for your future projects. Froont has an intuitive interface and the widgetry works like Adobe Photoshop and Adobe Illustrator. When you’re ready to wrap things up, Froont will export your code and save everything in a zip file. For the ones having trouble organizing their projects and finances Cashboard is a very helpful tool. Cahsboard is a cloud-based tool that can help you manage projects and keep track of the clients who owe you money. Being very easy to use, anyone in the team can create estimates, invoices and reports. You can generate an estimate even before getting started on the project by specifying the type of tax or the way you want to bill your client – by the hour or by price depending on what you’re offering, whether it is services or products. You have full control over your project from listing tasks and assigning them to the members of your team, to getting paid by your customers. Plus, Cashboard fully integrates with payment processors such as Stripe and PayPal which means that your clients can pay invoices online. 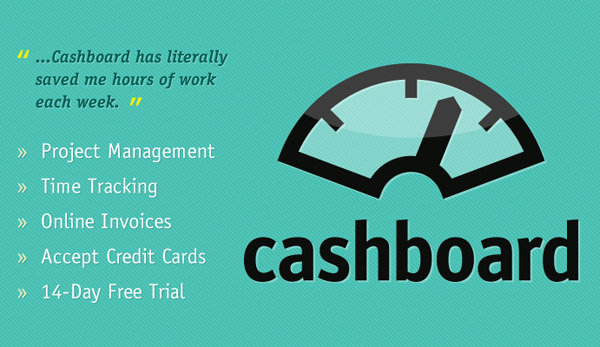 Cashboard offers a 14-day free trial with monthly or yearly plans, suited for any type of business. 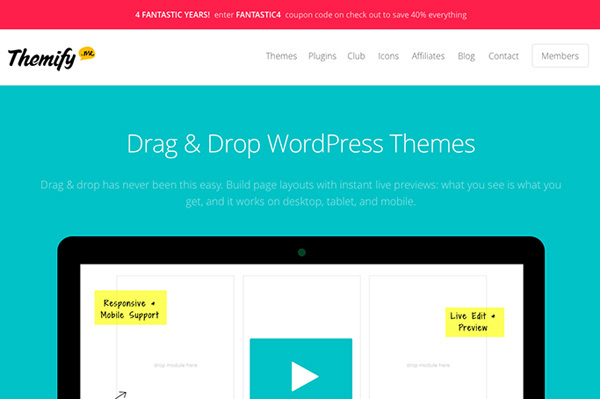 Themify allows you to build beautiful, responsive page layouts easily and effortlessly. While using Themify you are guaranteed that what you see is what you get, as you will be able to visualize all changes you make with an instant live preview. What’s more, when you’re done, you’re guaranteed that your layout will work on desktop, tablet and mobile without you having to make any further alterations. The Themify editor aims to help all non-coders get started with creating page layouts. By using their framework you will be able to make any modifications to a theme by using the options panel and not writing a single line of code. Within the Themify framework you will be able to use drag and drop, custom widgets and shortcodes easily. In addition to all of this, Themify has a special return policy that offers a hassle-free, money back guarantee within 30 days of the purchase. ShrinkTheWeb is the perfect tool for any mobile or web developer out there. Its automated screenshot system is capable of scaling to meet any need and its speed of capture and delivery is unmatched. If you have to automate countless screen shots daily then the ShrinkTheWeb platform is for you. It will help you capture, shrink, crop, save, upload and display screenshots automatically by only using a single line of code or an existing plugin. ShrinkTheWeb’s pro features are unique. This is why it was used by top-notch companies like Technorati and Microsoft. ShrinkTheWeb offers URL to PDF Conversion, Custom Size Previews and Private Label Service features that work smoothly and will make your website stand out from the crowd. ShrinkTheWeb is not only free, but it also offers unparalleled tech support in case you need assistance. With ShrinkTheWeb making links more visually appealing for your users and automating dozens of tedious steps are now only a few clicks away. 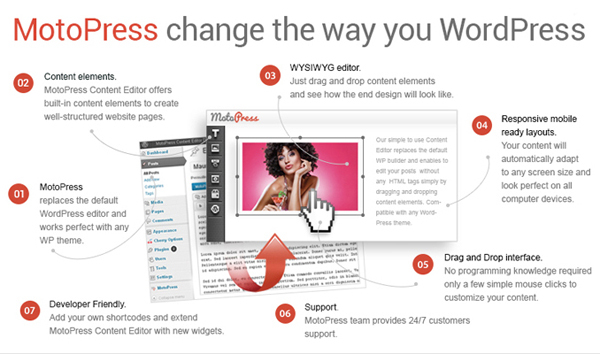 The MotoPress Content Editor is a plugin that replaces the default WordPress editor and provides you with a way of easily customizing your website and making design changes with only a few mouse clicks. The plugin is very easy to install and works with any WordPress theme. You can customize your page without having to write any code with the use of the drag and drop system. Also, MotoPress comes with built-in content elements such as text, image, slider, button and video. Besides, any layout you create will be responsive and mobile ready and you can even extend it with your own shortcodes for a more a original and personalized design. With MotoPress Content Editor you also get WPML compatibility and files included for easy translation. The team provides professional customer support as well as regular updates. To see how MotoPress Content Editor works go to their website right now and give it a try and discover all of its great features. 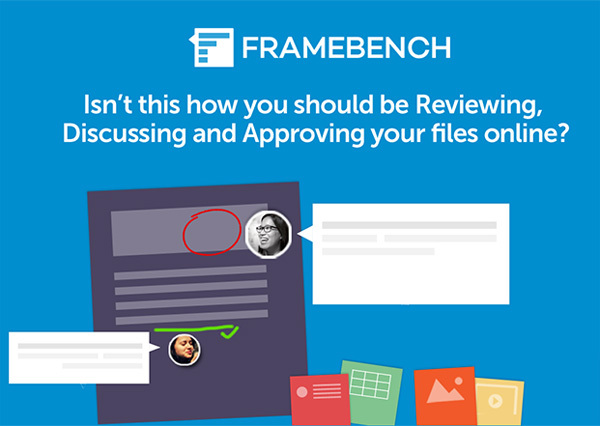 Framebench is a cloud-based online collaboration and feedback platform that will allow you to easily communicate with your colleagues or clients while working on a project. You can easily share assets and give and receive feedback just as if you were working face-to-face, which will surely make your work process a lot easier. Framebench offers the “TableTop Sync” feature that helps everyone online see any activity, change or movement on the project as is happens, without any lag. This means, you can receive feedback on your work in real time. It’s also very easy to work with videos, share them and make changes live for the others to see and review. Also, browsing through a project has never been easier, with the intuitive magazine page like flipping. Another great feature Framebench provides is Mail Markup that works with Gmail, which gives you the chance to annotate, markup, comment, send and attach files without having to download them beforehand. When working within a team, being able to manage the team’s collaboration is essential and Flowdock is the tool to help you accomplish this as easyily as possible. Within Flowdock you can define crucial points of your project, be assured that all activities within your project are transparent to all those involved and keep the communication between teammates flowing. In addition to this, Flowdock is available on desktop, mobile and web so you’re sure to have access to it at all times. Context.IO is the app you for all your syncing email data across IMAP needs. By using Context.IO you will not have to worry about building, scaling and maintaining the entire infrastructure necessary in order to assure a flawless email sync. This tool allows you to focus on what really matters in your business and leave all the email syncing to it. No matter what kind of needs you have involving performance metrics or statistics concerning your website, Metricfire is the tool for you. This service is well rounded and covers all your basic and even more complex requirements. Also, Metricfire is versatile and can be implemented in either Python or PHP and is completely independent from the rest of your code. Therefore, even if a critical bug occurs, the information you need to repair it will be available to you. Hostoople is one of the best colocation hosting providers you’ll find. They offer any solution for your domain hosting services whether you’re looking for hosting for your clients or for yourself. Hostoople allows web developers to resell their services to clients through special reseller plans that come with an impressive bundle of features. In this bundle of features you will find hundreds of software automatic installers for your website that will make your life infinitely easier, most of them are even free. 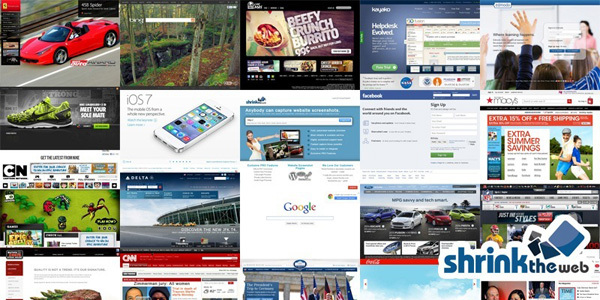 No matter the kind of website you are looking to put out, Hostoople has a bundle that will be useful to you. Their core features include free domain registration or transfer, easy to use control panel, unlimited MYSQL databases, free blogging software and free premium website builder. Their bundle for e-commerce offers tools like CubeCart, osCommerce or Zen Cart. Their content management bundle offers you Joomla!, Moodle and more. And these are not the only bundles they offer, go to their website right now and see which one suits your needs. Customers are the most important part of any business and often keeping them satisfied is the key to profitability. WPHelpDesk is useful especially for small business owners who need a tool to help them with sorting, organizing and replying to client tickets quickly and efficiently. 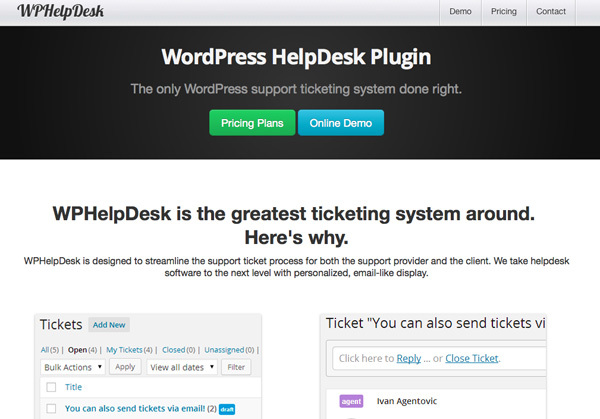 It’s no longer a luxury to have your own helpdesk if you’re using this WordPress plugin. WPHelpDesk has a very user-friendly interface that will make it easy for your clients to reach out to you. They simply have to fill in some fields and you’ll receive their ticket immediately. Next you can start working on it or assign it to someone else. You can also check its status, find out if it’s been assigned, if someone is working on it or if someone wrote a draft for it. WPHelpDesk is easy to use and it has a powerful Advanced Search tool which will help you and your employees find anything in mails, tickets and drafts with just a few clicks. If you’re looking to have a professional website to boost your business, the place to go is Konstant Infosolutions. They offer a wide range of web development, mobile application development and Magento development services. With PHP being one of the most popular choices in web development these days, Konstant Infosolutions offers professional PHP web development and support. PHP is a good choice when it comes to web developing because it’s very flexible and versatile. Konstant Infosolutions is a good choice because of the extensive knowledge they have acquired in over 10 years of experience in the field. Konstant Infosolutions create functional websites that are very easy to use as well as beautifully designed, because they see websites as the most important assets of your business, which means is has to look perfect and work smoothly. Plus, keeping up with the demands and the constant changes in the IT business, they also offer very competitive pricing. 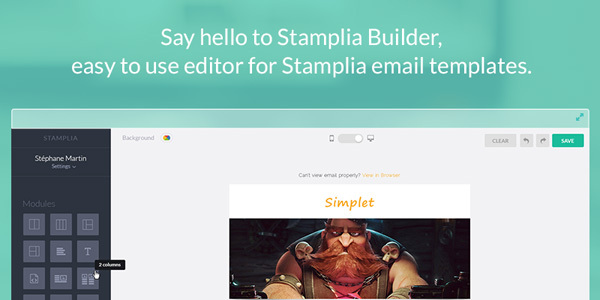 Stamplia Builder is an editor for modifying purchased email templates that is not only very easy to use, but also very useful to all web developers out there. By being able to customize email templates for your customers and offer them a wider variety of options to choose from with minimum effort, you will increase your sales and appeal to more clients. The Stamplia Builder offers you automatic export of templates into email providers like MailChimp, CampaignMonitor and SendGrid and assures you that the template will be automatically compatible with the email provider’s editor. In addition to all of this, you will be able to see all modifications you make on the email template through a real-time responsive visualization mode and create amazing images with the faster image editor provided. At the end, you can be sure that the template you have modified will look good both on computer and mobile devices and that it will meet all your client’s requirements. Macaw is the application that could revolutionize the way we manage front end. Using this tool, you will be able to have a completely different approach to image editing. With Macaw, all your images will be managed from within an editor that very much resembles Adobe Photoshop with all the same features at your disposal. At the end, all you have to do in order to integrate them into your design is tell Macaw to generate the HTML and CSS required and you’re done. If you’ve been struggling with responsive web design, RIU is the plugin you’re been waiting for. 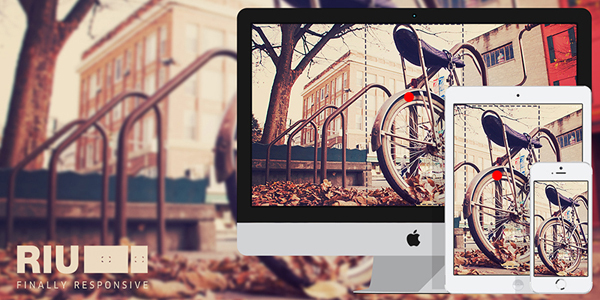 RIU (Responsive Image Uploader) helps you turn images into responsive images, hassle-free. Up until now, the solutions you’d find for making responsive images had a number of problems including keeping the image subject in focus, losing important information or even distorting images. With RIU you won’t have o worry about any of those, all you have to do is upload the image to your WordPress media gallery, choose an area of focus (AOF) and point of focus (POF) relevant for the image and publish. Once you’ve done this, RIU fluidly adjusts the image according to the screen size, aspect ratio, container size, AOF and POF. Before putting out a website of any kind, you want to make sure that it is as flawless as humanly possible. In order to be assured of that, you will want to put it through an intense testing period and Launchlist is the application that will help you do this. By using Launchlist you will be able to define a launch list (where you’ll keep all the tests you want to run on your website), manage the project with Launchpad (where you’ll find all the recent active checklists), customize the template of each of your projects, have the possibility to collaborate with your team mates and more.